Chargeurs business. | Chargeurs Wool (USA) Inc. is a Chargeurs Luxury Materials company. Trevor Goodwin of Andrews, South Carolina, is using an overhead hook on a motorized track to pick up bulging cloth packages and maneuver them into position. He cuts and tears open the packages, which are full of raw wool — fleeces shorn from sheep in the Western U.S. In its raw state, the wool is speckled with twigs and dirt and drenched with lanolin, the natural oily wax that sheep produce to protect and waterproof their wool. 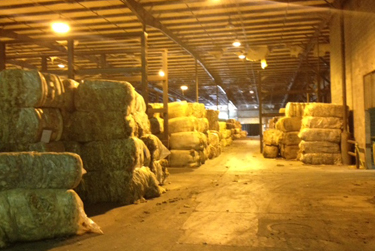 In fact, the entire massive warehouse smells of lanolin — an earthy, comforting, animal smell, like putting your face in the fur of your favorite dog. 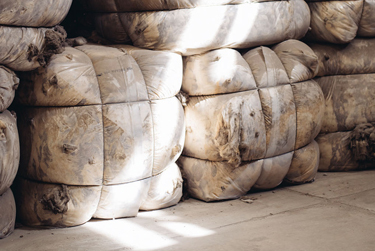 Goodwin’s job is one of the first steps in processing raw wool — greasy wool, as they call it here — into the gleaming white combed wool, called “wool top,” that is the Chargeurs Wool USA factory’s main product. Wool top is used by spinning mills to spin worsted yarn, which can then be knitted or woven into various fabrics. 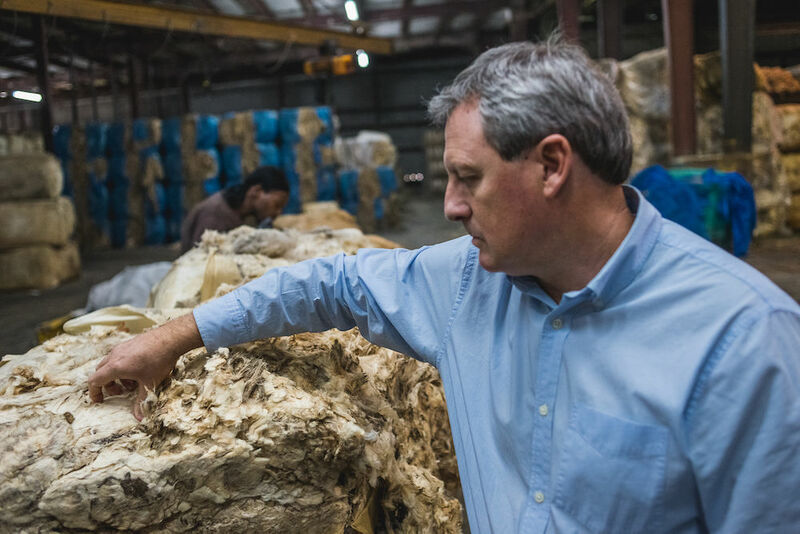 This huge factory in Jamestown — a tiny town in Berkeley County, an hour from Charleston and two hours from Columbia — processes up to 50 percent of the roughly 26 million pounds of wool shorn from U.S. sheep in any given year. And it’s the only wool top-making facility in the country. U.S. Army researchers want to improve the service’s flame-resistant, protective apparel by developing a U.S.-manufactured, wool-blend uniform. 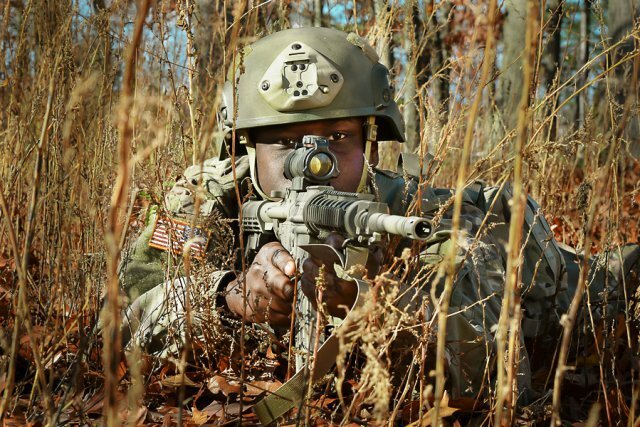 The Army has developed a wool-blend uniform composed of 50 percent wool, 42 percent Nomex, 5 percent Kevlar and 3 percent P140 antistatic fiber, according to a recent Army press release. One goal of textile research and development effort is to create a flame-resistant combat uniform made solely from domestic materials, said Carole Winterhalter, a textile technologist with the Army Natick Soldier Research, Development and Engineering Center. This research may provide an opportunity to meet this objective. “We have a lightweight fabric that is inherently flame resistant; no topical treatments are added to provide FR,” Winterhalter said. “We are introducing a very environmentally friendly and sustainable fiber to the combat uniform system. We don’t have other wool-based fabrics in the system right now. This is a brand new material.” Three Army researchers traveled to Germany from Aug. 26 to Sept. 15 for Exercise Combined Resolve VII to work with about 100 soldiers in testing and evaluating prototype, wool-blend uniforms composed of this fabric. © 2019 Chargeurs Wool USA. All Rights Reserved. Powered by El Informador Group. 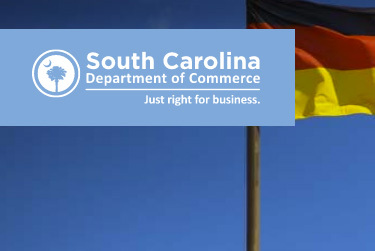 Created by PDA.